It’s a setback for the family, but it will help end pit toilets in schools. Judge Gerrit Muller handed down judgment in the Michael Komape case on 23 April in the Limpopo High Court. He dismissed the Komape family’s damages claims for emotional shock and grief but upheld the claim for future medical expenses for Michael’s two younger siblings. Muller also ordered the Limpopo Department of Education to eradicate unsafe and unhygienic toilets at rural schools and provide the court with a report explaining how it intends to do so by the end of July. Michael, a five-year old boy in Grade R, drowned in a pit toilet in 2014 at Mahlodumela Primary School in Limpopo. He had only been in school for three days at the time of his death. The terrible circumstances of his death were described in court. After Michael’s death the Komape family went to court to claim for damages against the Minister for Education, the Limpopo Department of Education and the Mahlodumela Primary school. The plaintiffs were Michael’s two parents and his two younger siblings. They were represented by the public interest law centre Section27. The first claim was for emotional shock, bereavement and trauma. The second claim was for grief. For the second claim, the Komape family also requested the court to develop the common law so that a plaintiff can claim damages for grief without proof of psychiatric injury. In litigation, a plaintiff may have an alternative claim if the original claim fails. As an alternative to the second claim, the Komape family requested R2-million in damages for the infringement of several constitutional rights. The third claim was a claim for future medical expenses so that Michael’s two younger siblings could have psychological treatment for post-traumatic stress disorder. The fourth claim was for funeral expenses and the fifth was for future loss of earnings. The state conceded liability for the fourth and fifth claims and these were awarded during the trial. The Komape family also requested a structural interdict to compel the state to install decent, safe and hygienic toilets in all rural schools in Limpopo. (A structural interdict compels the state to take measures to fix a particular situation. It also enables a court to supervise the state until the matter has been resolved.) Also, the Komape family requested a declaratory order — an order that says that an action is unlawful — that the conduct of the state infringed numerous constitutional rights including the rights to equality, human dignity, life and basic education. Usually, this sort of damage claim can only succeed where there is proof of psychiatric injury, established by an expert witness. The Komape family and the state called expert witnesses who only agreed in two main respects: that the Komape family had suffered severe trauma because of the way Michael died, and that although there was a great improvement in the condition of the entire family, the protracted legal process had prolonged their suffering. The court assessed the evidence presented by the Komape family’s expert witness, a clinical psychologist, but found it wanting. 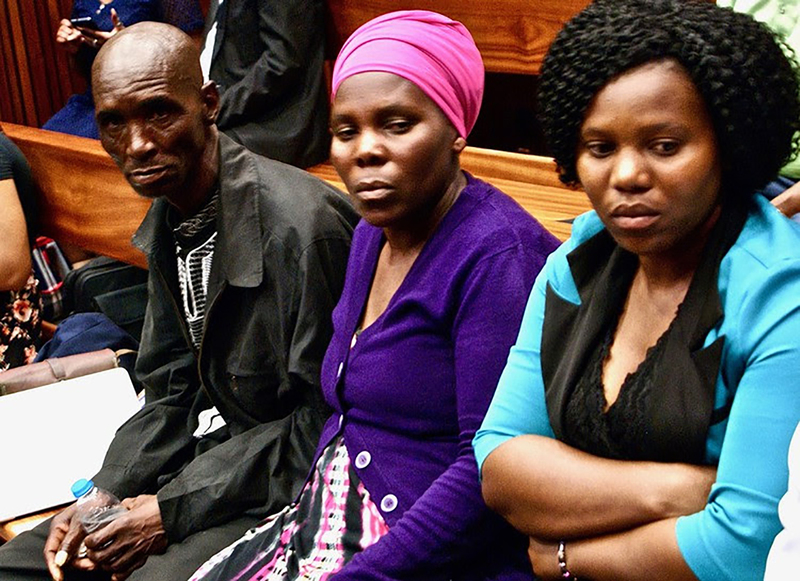 First, the court found that the family’s expert witness report was not well prepared because it did not mention a diagnosis of grief in respect of any of the Komape family members or recognise grief as a specific psychological disorder. Second, the court found that the most significant portion of the family’s expert witness’s evidence relied on a report compiled by another psychologist, a Ms Sodi. Sodi’s report provided a detailed analysis of how the Komape family had experienced symptoms of bereavement, post-traumatic stress disorder, and depressive disorders. The court agreed that Sodi’s report contained the necessary evidence to sustain the damages claim. However, because she herself had not been called as a witness and been cross-examined, the court found that it could not place much weight on her report. Third, the court found that the family’s expert witness had contradicted himself because in the experts’ joint minute (a document prepared for the court by all the expert witnesses in order to clarify complicated issues and save the court time) he had confirmed that the condition of the Komape family members had improved but during his testimony he suggested otherwise. For all these reasons, the court found that it had not been established that the Komape family suffered from a recognised psychiatric injury that they should be compensated for. The court considered whether the common law should be developed to enable a plaintiff to claim damages for grief even without proof of a psychiatric injury. The court noted that grief is not itself a condition, but a common human experience which flows inevitably from the death of a loved one. For this reason, the court found that only a claim substantiated by expert evidence should be allowed. Otherwise, the court said, “bogus” and “limitless” claims could be made for every conceivable form of grief regardless of whether it was significant or not. The court found that a person should only be compensated for a recognisable psychiatric illness and that this was a well-established principle in our law. The judge found that Michael’s two minor siblings had suffered severe trauma as a result of Michael’s death. For this reason, they were entitled to future medical expenses equivalent to six sessions each with a clinical psychologist. The court awarded an amount of R6,000 to each of Michael’s siblings for this treatment. The court first considered whether there had been an infringement of any of Michael’s constitutional rights. The judge found that the systematic failure to provide decent, safe and adequate toilets infringed the right to human dignity and the right to an environment not harmful to well-being. He also found that the right to basic education includes the right to the provision of adequate and safe sanitation facilities at public schools. He found that the conduct of the state was inconsistent with the best interests of the child. Muller also found that the Limpopo Department of Education had failed to make use of funds allocated to it specifically for providing sanitation at rural schools. Also, he pointed out that there was evidence that there were many affordable options available to the state to improve sanitation facilities at schools in the province. When a court finds that there has been an infringement of constitutional rights, it must decide the appropriate relief. The court found that it would not be appropriate to award the Komape family constitutional damages for several reasons. First, Muller noted that the purpose of a damages claim is to compensate for the loss suffered. For this reason, an award of constitutional damages in this case would effectively be a form of punitive damages, which is not usually allowed in South African law. The judge wrote that if he were to award constitutional damages it would “over-compensate” the Komape family and that such an award would “not serve the interests of society”. The judge found that he could grant a declaratory order, given the violation of several constitutional rights. However, he found that a declaratory order alone would not constitute “appropriate relief,” because it would not remedy the ongoing violation of the rights of children attending rural schools in Limpopo. For this reason, the court ordered a structural interdict. Muller found that this would protect the rights of all learners by ensuring that they have access to decent sanitation. While noting that the upgrading of toilets in rural schools would be a “mammoth task” Muller found that it was the only way to restore the dignity of learners in rural schools. The court ordered the state to make sure that every rural school in Limpopo is equipped with decent, accessible, safe and hygienic toilets. Muller also ordered the state to provide the names of all schools in rural areas which still use pit toilets, an estimate of the time it will take to eradicate these toilets, and a detailed plan for the installation of suitable sanitation. The Department of Education has until 30 July 2018 to provide this. Muller was awarded costs against the state in favour of the Komape family.